Andhra Pradesh Chief Minister N Chandrababu Naidu has announced that the state was now Open Defecation Free (ODF) as it had achieved its goal of constructing 2.77 lakh individual toilets. With this achievement, Andhra Pradesh becomes the first large state in the country to be declared as Open Defecation Free. The 44th G7 summit was held on June 8–9, 2018, in La Malbaie, Quebec, Canada.This was the sixth time since 1981 that Canada has hosted the meetings. The summit received significant attention due to a significant decline of relations of members with the United States. Due to this, the summit was dubbed the “G6+1” by France and some members of the media. India, Belgium, and the European Union are jointly organizing events in the Belgian capital and across the country to celebrate the 4th International Day of Yoga. In this regard, the Embassy of India, Brussels, on 21 June 2018 in partnership with the European Parliament and the Art of Living Foundation, and on 24 June 2018 in collaboration with the Ministry of Housing, Environment, and Energy of the Brussels Capital Region Government, the City of Brussels and Vidonne Asbl will organize events on yoga, wellness and harmony of body and mind. At the European Parliament, a special yoga session will be held on 21 June 2018 from 1200-1330 hrs at the Yehudi Menuhin Space. The event will be graced by Antonio Tajani, President of the European Parliament, and Sushma Swaraj, External Affairs Minister of India. European Commission and European External Action Service and other dignitaries are expected to participate in the event. The Embassy of India in Brussels, in association with local authorities and yoga foundations, is organizing “Brussels Yoga Day” events at the city’s Bois de la Cambre Park on June 24. Minister of State for Defence, Dr, Subhash Bhamre dedicated a highway tunnel at Theng near Chungthang in north Sikkim to the nation. The tunnel will benefit the tourism and rapidly propel the growth of the state. The double-lane tunnel stretching about 600 meters has been constructed by the Border Roads Organisation at cost of over 42 crore rupees. Reserve Bank of India (RBI) made changes in the Gold Monetisation Scheme (GMS) to make it more attractive. The revamping of the scheme is aimed at enabling people to open a hassle-free gold deposit account. The short-term deposits should be treated as bank’s on-balance sheet liability. These deposits will be made with the designated banks for a short period of 1-3 years (with a facility of rollover). Deposits can also be allowed for broken periods (e.g. 1 year 3 months; 2 years 4 months 5 days; etc.). Union Government launched 5,000 Wi-Fi Choupalsin villages and delivery of rail tickets through Common Service Centres (CSCs). It was inaugurated by Electronics and IT Minister Ravi Shankar Prasad in New Delhi yesterday. The move is aimed at transforming rural Internet connectivity through BharatNet. The WiFi Choupals will enable people in rural areas with an effective Internet access for their various digital processes. Ravi Shankar Prasad with the concept of the power of information, CSCs are running a mass movement of digitalization which, in turn, empower the common man. Prime Minister Narendra Modi appreciated CSCs efforts in Singapore which is a great recognition for all the Common Services Centres- Village Level Entrepreneurs (VLEs). 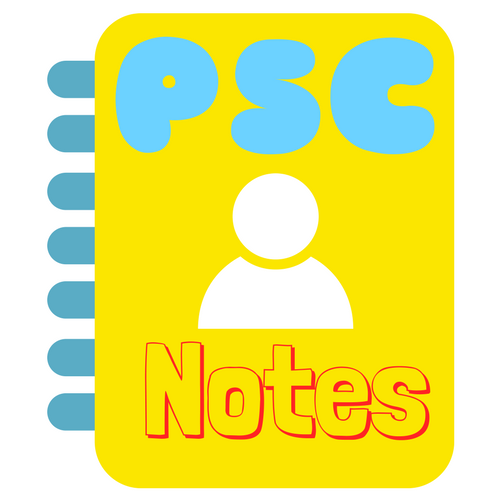 Mr Prasad announced that the Prime Minister will address CSC- VLEs on 15th of this month. Minister of State for External Affairs V K Singh flagged off the 1st batch of three-month-long Kailash Mansarovar Yatra-2018in New Delhi. The Yatra will continue till the 8th of September 2018. There are two routes for the Yatra, one through Lipulekh Pass in Uttarakhand which involves some trekking also. The other route is through Nathu La Pass in Sikkim, which is motorable and suitable for senior citizens who unable to undertake arduous trekking.